03-1-16 – Vegetable gardening – “edibles” to those on the east and west coasts – is the fastest growing niche in gardening, but you don’t need me to tell you how to grow tomatoes, peppers and carrots. That’s what normal websites are for. What you NEED is the Renegade take – a succinct primer on some of the more exotic, hip and happening new varieties of vegetables that you won’t find in your neighbor’s garden, or even at the farmer’s market. Live a little. Grow something unusual. No one you know grows it, and it’s very tasty. 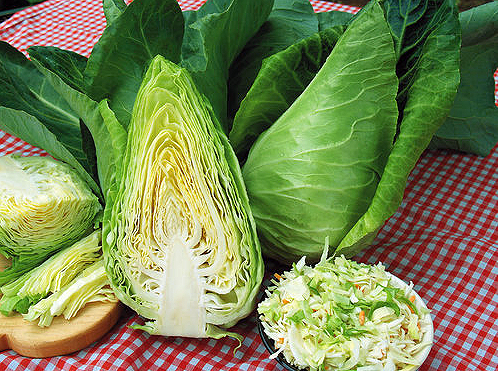 Lettage is a form of pointy headed cabbage that has been cultivated and enjoyed in Europe for quite some time, but is just now becoming popular in the US and Canada. Bejo Seeds, an organic seed producer in California, has recently come out with a new variety named SweetHeart Lettage. Unlike European varieties, SweetHeart heads are smaller, growing around six inches tall to twelve inches at the base. Lettage has a sweet, mild flavor and crisper, less leathery leaves than traditional cabbages. The word is getting out about all varieties of lettuces: They taste good, are perfect for salads and on top of burgers, but contain nearly zero nutrients. Lettage contains far higher nutrients levels than lettuces, including vitamins C and K (helps prevents blood clots and excessive bleeding). Don’t care for artichoke? Then grow it. 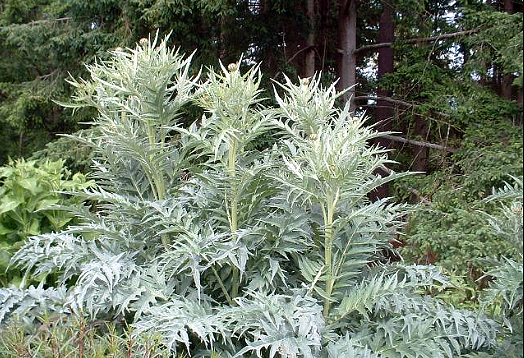 Artichoke is a fabulous and unique landscape plant featuring silvery blue, spiky-lobed foliage in a tall and structurally gorgeous plant. Think of it as a shrub – in one season, one plant will grow to easily fill a 4’ x 4’ space. So grow one in a bright, sunny spot along the shrub border, against the fence, or even next to the house in the foundation bed. 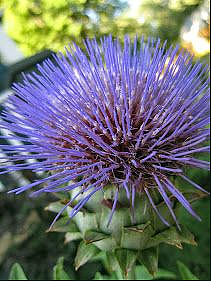 Rich purple flowers flood the top of each individual artichoke as they mature. Height depends on variety, and can range from three to above six feet. 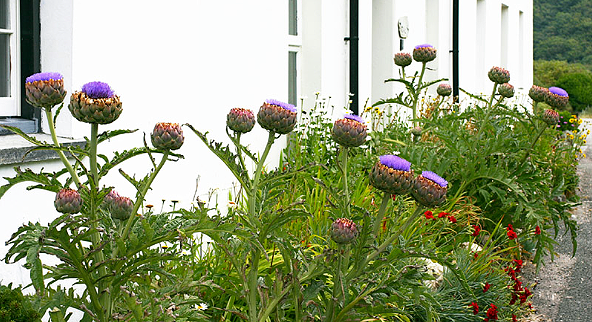 Globe Artichoke (Cynara cardunculus var. scolymus) is the standard, and plants can reach five to seven feet. Each edible artichoke is about the size of a grapefruit. Baby artichokes are much smaller, about the size of brussel sprouts, and are fantastic broiled, grilled or sautéed. My father forced all his kids to eat artichokes as youngsters, and from the first bite I loved them. Turns out, artichoke contains one of the highest levels of antioxidants of any vegetable. Thanks, Dad! Grow artichokes in full sun and any soil that drains well. Mulch plants and water regularly; do not let soil dry out. Most varieties are hardy to Zone 6 and even Zone 5 if mulched in winter. New varieties will flower and produce artichoke heads in one season (‘Imperial Star’ is a good one). In colder zones, good nurseries will sell young plants in the spring, or buy seeds and start them in January under lights. There are plenty of heirloom seed varieties available online. 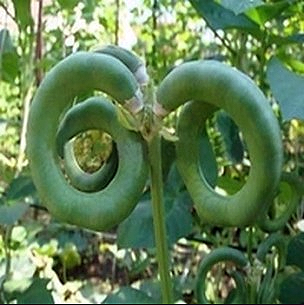 Here’s a cool variety that the kids will enjoy growing, because unlike common string beans, Pretzel beans curl and contort and look like devils’ or space aliens’ horns and, you know, they’re kids. Easy to grow in any sunny spot, this is a tropical plant featuring extremely vigorous twining vines good for gardens with limited space. Stakes or narrow vertical trellises are necessary but one plant can easily be grown in a five-gallon container. Pretzel beans are not very particular about soils, can be grown in high heat and are not bothered by bean beetles and other pests. Young, green pods can be picked and eaten fresh as with snap beans, or picked and allowed to dry for soups and chillies. The best news, Pretzel beans contain higher levels of nutrients than peas and other varieties of string beans. Do a search for seeds, many vendors available online. Once you start growing Cucamelons, you’ll never stop. 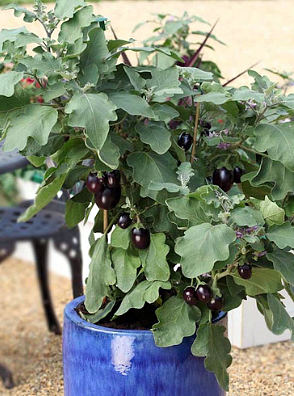 Extremely easy to grow, the grape-sized fruits taste like cucumber with a healthy dash of lime. 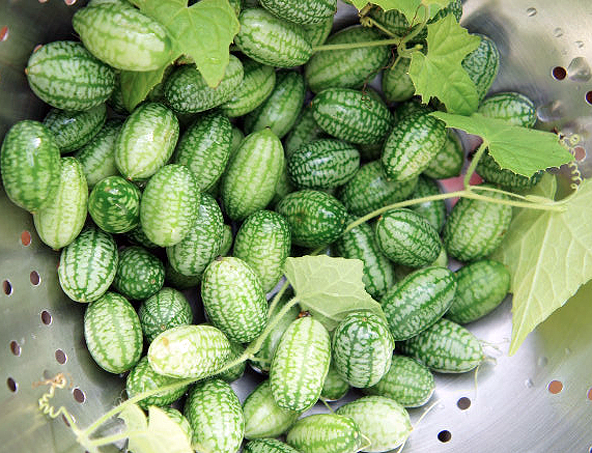 Also known as mouse melon and Mexican minitature melon, Cucamelon is native to Mexico and parts of Central America but is rapidly gaining popularity across the US and Canada. The plants themselves are quite attractive, bushy with delicate vines and attractive, light green, maple-like leaves. Plants require staking or a trellis and will grow three to six feet high – it’s a nice ornamental plant to grow on trellises covering a fence. Not terribly particular about soil, only that it drains well. Plants but require very little spacing; seeds can be sown six inches apart. In Zones 8 & 9, seeds can be sown directly into the garden but are slow to germinate, so starting seeds in advance (under lights!) is advised. Many gardeners shy away from eggplant, an extremely nutritious vegetable (fiber, vitamin B1 & B6, copper, manganese, niacin, potassium, folate, vitamin K) that admittedly is an acquired taste. Once again, my father grew them by the truckload, and I was fed eggplant, lightly boiled and mashed, beginning around age two. I suspect mom drizzled in a little synthetic maple syrup. Now I’ll cook slices on the grill topped with parmesan cheese, or the Engebretson staple, sautéed in butter with a little salt and pepper. ‘Patio Baby’ is a dwarf, suitable for containers. They’re quite decorative on the patio, with deep maroon to purple fruits on plants growing only two to three feet high. Eggplant is a VERY hot weather plant, requiring full sun and good, well-draining soil, but can be grown as cold as Zone 3 from seed or by purchasing starter plants at the nursery – you’ll find ‘Patio Baby’ beginning this spring. As with tomatoes, buy small, eight-inch plants, not anything larger. OK, by now you know the story, I was raised on squash, father grew it by the truckload, ate it as a baby, just like every kid born in Minnesota (or Wisconsin, Iowa, the Dakotas). Love it to this day, perhaps my favorite vegetable. But it takes room to grow, more room than many new vegetable gardeners can devote to one vegetable. 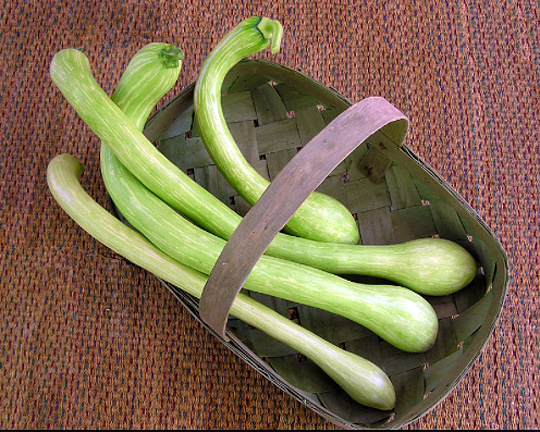 So try this extremely flavorful heirloom variety of climbing Italian summer squash that can be grown in minimal space, including large containers. The curving, slender fruits grow twelve to fifteen inches long on vigorous vines. To quote our friend Renee, fruits have “a delicate mild taste with a hint of nutty artichoke flavor.” Plant in full sun. Staking or trellis required.